Sapporo Japanese Restaurant, voted #1 Best Sushi Restaurant in Louisville, is consistently rated as one of Louisville’s popular Japanese restaurants. 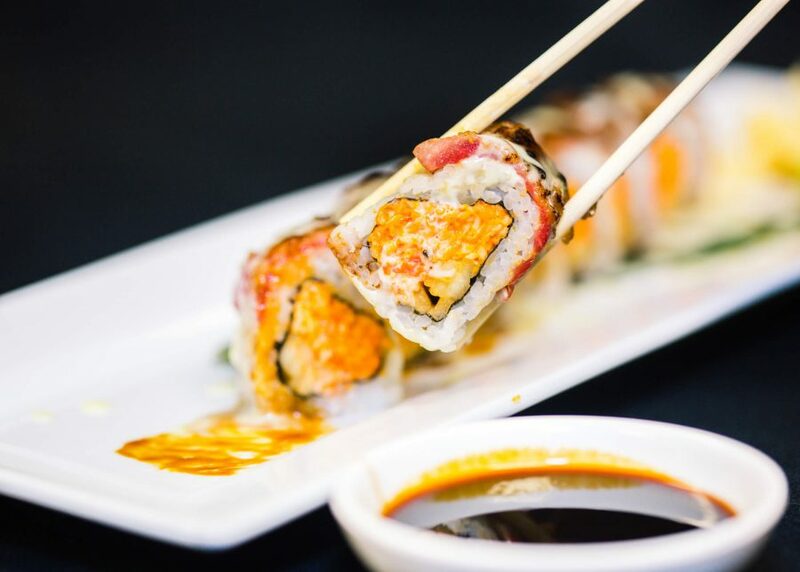 Located on Bardstown Road, Sapporo is a locally owned, family-friendly restaurant that provides a relaxed yet upscale atmosphere to showcase the traditions of pristine quality fish and family style Japanese fare. We pride ourselves in presenting an exceptional menu of a variety of contemporary and classic Japanese cuisine. Sapporo has received many awards and accolades and still continues to strive to indulge guests with the freshest and most unique sushi in Kentucky. Treat yourself to the specials of the week, all made with the finest flavors and our signature spin. For a list of our current specials, check out our menu. Park right by the building or street parking. Enjoy your mouthwatering meal from anywhere in Louisville. Your living room, or anywhere your night takes you. From 5-10, and weekends 5-11:30. Just give us a call and order your dinner to go (everything except for Happy Hour). Ready for a dinner worthy of planning your evening around? To reserve a table, give us a call. Need a little extra room? Just let us know. We’re happy to accommodate larger parties. 1706 Bardstown Rd , Louisville, KY 40205	(502) 479-5550 Park right by the building or use street parking. ©2019 Sapporo Grill and Sushi.